Justin Cammarota ’19 may have grown up in the small town of Warminster, Pennsylvania, but as early as eighth grade, he said, he was dreaming of conducting research halfway around the world. This past summer, the dream became reality. 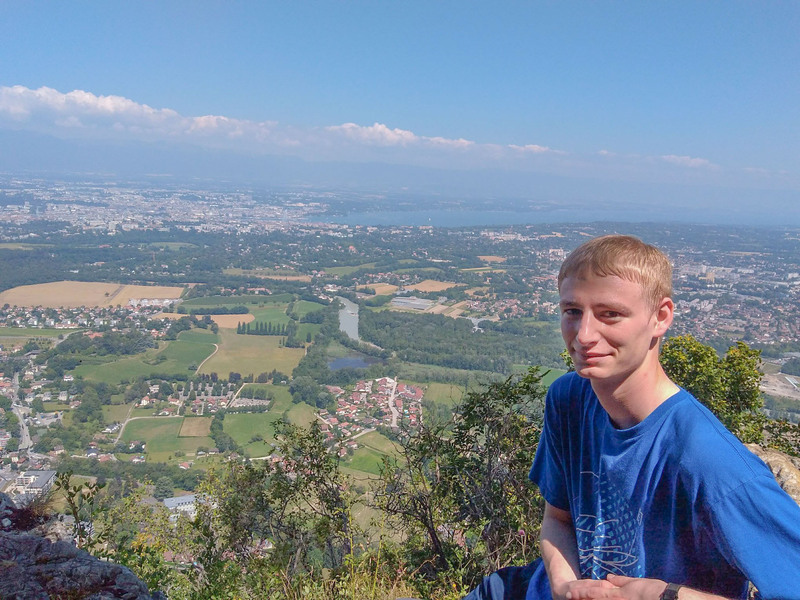 Cammarota became a paid intern at CERN, a European research organization that operates the largest particle physics laboratory in the world near Geneva, Switzerland. A dual major in physics and mathematics, Cammarota was accepted as just one of 20 students from the United States in the research program that welcomed 300 students from around the world. The National Science Foundation provided funding toward the research stipend, a daily per diem, and travel expenses of Cammarota’s program, which included math and physics research and coding that focused on the internal structure of matter. The research sought to develop tools that could have future applications such as cooling technology for proton therapy and other treatments happening at hospitals and medical facilities. The internship in Switzerland is the second paid internship Cammarota has completed. For the first, he lived in Chicago for a 10-week internship at FermiLab the summer after his sophomore year. Run by the Department of Energy, the FermiLab internship is highly competitive, with just 20 students in the program. Cammarota prepared for these internship experiences by spending his first summer of College living on campus and working with the Math-Physics Research Group. Mathematics and physics department faculty and students collaborate on quantum information science topics. Through this work, he learned that he enjoyed working on a computer to complete calculations and the research environment. To help cover the additional expenses around his internships, Cammarota used the stipend from his John Bowman Allwein Scholarship at LVC. The College’s highest academic scholarship, Allwein Scholars receive full tuition for all four years along with a stipend to support research, travel, or study expenses. After graduation, Cammarota will pursue his Ph.D. in physics at the College of William & Mary starting this fall.